Weddings are a [supposedly] once in a lifetime event that most couple excitedly anticipate. Every couple, together with their families, prudently saves up to make this one event extraordinarily magical and memorable. This is why destination weddings are very popular among soon-to-wed couples. Some choose to have garden weddings in Tagaytay and Antipolo, while others go as far as Boracay and Bohol for beach weddings. 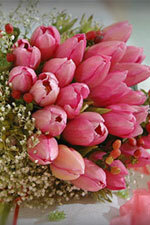 Destination weddings, however, require painstaking planning. And the farther you go, the costlier it will be. But then again, couples need not worry for there is one delightful wedding destination that is close to Metro Manila and that offers so many things couples may not find in any other wedding venue. 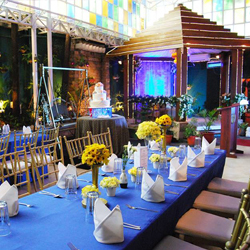 This ideal wedding destination is none other than the “Culinary Center of the Philippines” – Pampanga. Pampanga, which is situated in the middle part of Northern Philippines, is just an hour away from Manila through North Luzon Expressway (NLEX). It is populated by resourceful and hardworking folks who take pride in their renowned and sought after Kapampangan cuisine like sisig, kamaru, and taba ng talangka, among others. Bridal Bouquet by Villarosa Creations (right). The province is famous for the Clark Special Economic Zone and other historical and natural attractions. It is also known for hosting world-class events and festivities such as the display of Giant Christmas Lanterns, Philippine Hot Air Balloon Festival, the reenactment of Jesus Christ’s passion and death (Cutud Lenten Rights), and many more. Pampanga played a great part in the history of the country as one of the eight provinces to revolt against Spain and for being the capital of the archipelago when the British invaded Manila. Kapampangan arts, crafts, and traditions are characterized by elegance and gentility – the cultural influences of the countries that have once invaded the Philippines. These cultural traits are evident in the majestic churches all throughout Pampanga such as San Guillermo Paris Church, Metropolitan Cathedral of San Fernando, Holy Rosary Paris Church, and others. The churches’ magnificent architectural designs, styles and decors speak of Kapampangans’ passionate and heartfelt devotion. This makes a Pampanga church wedding intimate and solemn yet festive and elegant. Endowed with natural and man-made attractions like Mt. Arayat, Mt. Pinatubo, Candaba Suspension Bridge, and others, Pampanga offers sightseeing and other fun and exciting activities for to-be wed couples and their families and wedding guests. Planning a garden wedding in Pampanga? No problem! There are a lot of places in Pampanga that are blessed with fabulous flora, ancient trees, and splendid green fields. This is why deluxe hotels like Holiday Inn Clark Manila can offer both the elegance of indoor wedding receptions and the beauty of their gardens for to-be weds. Hotel Stotsenberg and Hotel Vida, on the other hand, also have uniquely-shaped swimming pools, alcoves and waterfalls to give couples another wedding theme option – tropical or resort wedding. Wedding caterers, photographers, florists, bridal gown designers, wedding planners, and everything you need for your wedding is readily available in Pampanga. 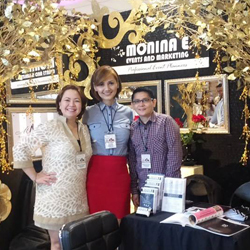 The province is one of the few outside of Manila that hosts regular wedding expos to promote its diverse wedding industry. This is why Pampanga is touted as the next big thing in destination weddings. Soon-to-wed couples, together with their families and guests, will surely enjoy the enchanting sceneries of Pampanga while staying in the province’s world-class hotels and resorts. These hotels and resorts are comparable with the best wedding venues Metro Manila offers. Weddings in Holiday Inn Clark Manila, Hotel Stotsenberg, and Hotel Vida, for instance, brag of having everything under one roof – from accommodations to food to wedding venues. It provides utmost comfort and convenience so that couples and their families and guests can just simply enjoy that one memorable moment in their life. Treat your guests with a gastronomic feast by employing the best Kapampangan wedding caterers like Tio Julian’s Catering Services and Howard Dizon Catering Services. 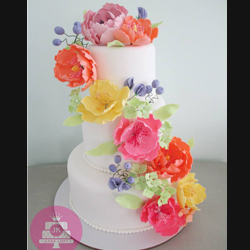 And have your deliciously sweet wedding cake prepared by Tiramisu Cakes and Pastries. Avoid the hassle of planning your wedding by asking the services of the very much in demand Kapampangan wedding coordinators like CDC Wedding Coordinators and Special Events Planners. Tap a local floral stylist that boasts of international experiences and/or of visually stunning creations like Villarosa Creations. 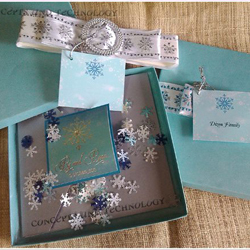 And for your keepsakes, have them taken by professional and creative wedding photographers like National Art Studio Digital Photo and Video, which does not just capture moments but emotions of the subjects, as well. 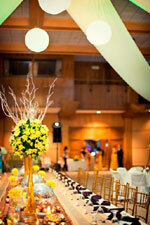 These are just some of the best wedding suppliers Pampanga offers. They may be offering different services but they have something in common: dedication to their crafts and commitment to provide nothing but the best. With its vibrant wedding industry, it is truly difficult to resist saying I DO to a Pampanga wedding.